1) High school students applying for these scholarships must have completed one year at an accredited high school (student must therefore be a sophomore or older) and should have taken at least one photography or related art class. 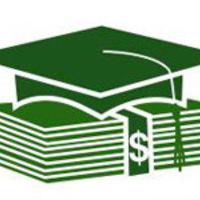 2) College or technical school students applying for these scholarships must have completed one year at a recognized college, university or professional school (student must therefore be a sophomore or older), and have taken courses in photography or photojournalism. 3) Graduate students applying for a scholarship should be enrolled in a journalism or photojournalism program. 4) High school, college and graduate students should have at least one semester remaining at time of award.